The Predecessor & Defunct is the comprehensive record of changes to Canadian public corporations. 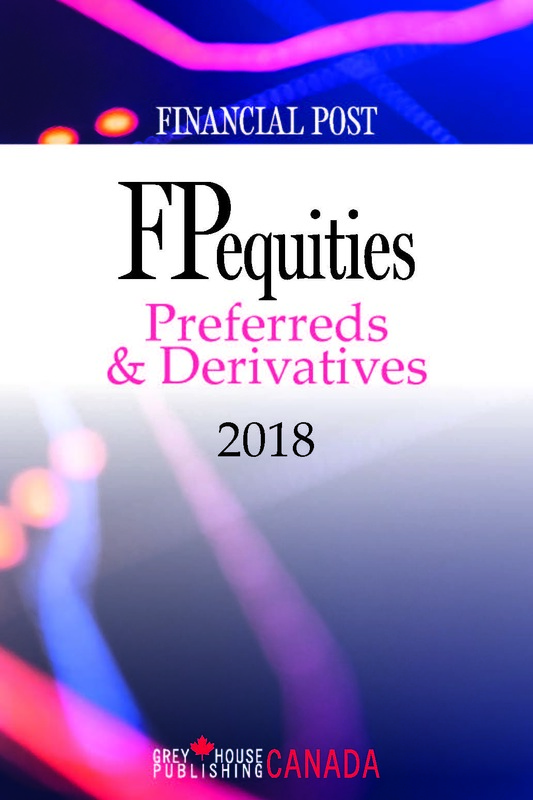 Details include name and incorporation changes, amalgamations, takeovers, receiverships, acquisitions, privatizations, dissolutions, cancelled charters and de-registrations affecting more than 28,000 corporate entities. Details of asset distribution on companies being wound up or liquidated are also recorded. Many factors contribute to the numerous changes recorded. Effective dates of these changes often reflect those provided by the stock exchanges or legal dates rather than shareholder or Corporate Registry approval dates. The companies are listed alphabetically and, where available the description includes the provincial or federal incorporate and date of the charter. The exchange basis of new shares for old is recorded. Multiple corporate actions on each company are dated and grouped under a single company header in chronological order for ease of reading and referencing. Where current information is available on the company or in one of the FP Survey coverage's a note is indicated. 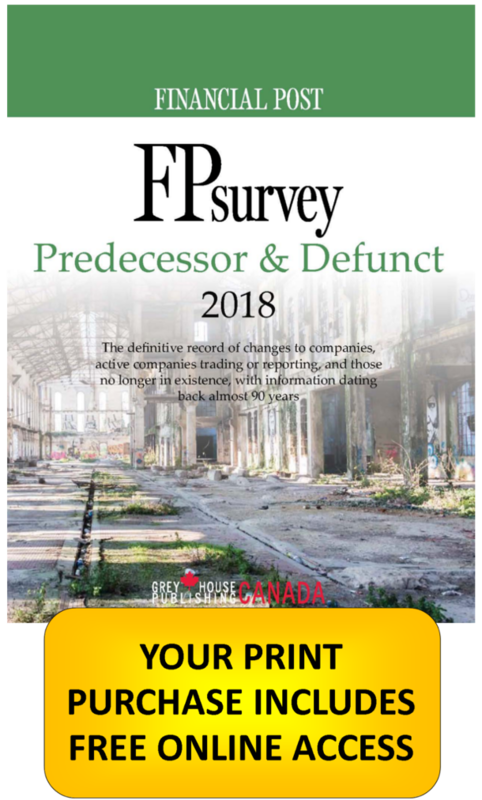 Information on currently active public companies can be found in its companion publications, FPsurvey: Industrials and FPsurvey: Mines & Energy.